Our Venerable Father Philotheos was born in 1475 in the village of Sklataina, which since 1927 is called Rizoma and is located in Trikala of Thessaly. 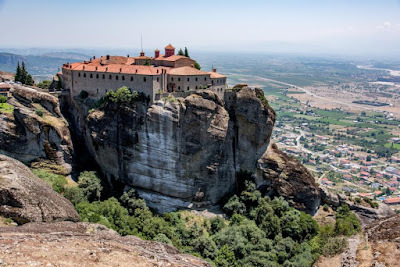 The beginning of monastic life at Meteora on the rock of Agios Stephanos, where the Monastery of Saint Stephen is located today, dates back to early in the 12th century. Saint Anthony Kantakouzenos, in the first half of the 15th century, is the first founder of the monastery, and Saint Philotheos, who renovated or rather rebuilt from its foundations the old small and elegant Katholicon, the present Church of Saint Stephen, in 1545 is referred to as its second founder. The rebuilding of the Church of Saint Stephen was done with the help of the Hieromonk Gerasimos. Philotheos is also noted for rebuilding the cells and other buildings of the monastery. 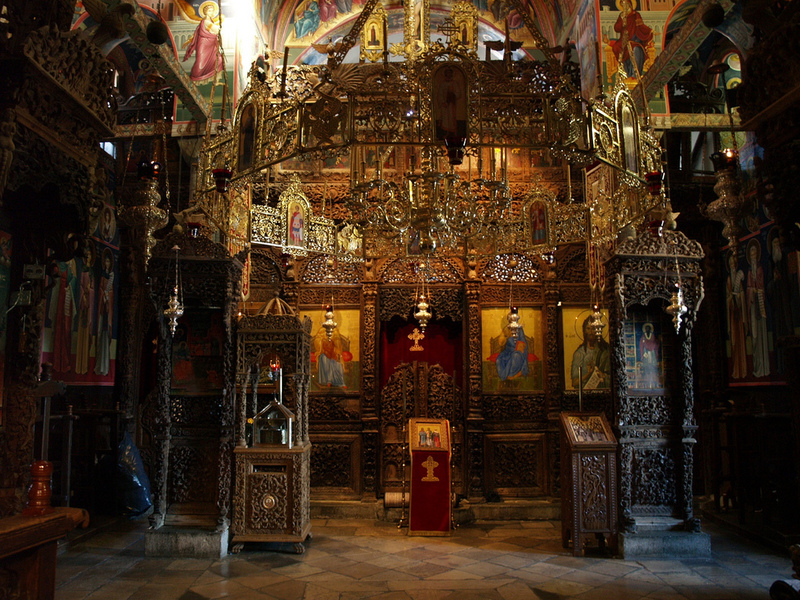 For the rebuilding of the monastery, as well as its decoration and liturgical function, funding came from both Philotheos and Gerasimos, indicating their affluence. On 6 November 2004, through the efforts of Metropolitan Alexios of Trikkis and Stagon and the Priest Stergios Lioutas of Rizoma, a church was consecrated in the hometown of the Saint dedicated to his name. There he is celebrated on the Sunday of the Blind Man. 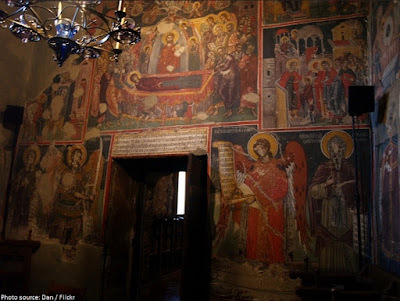 In 1997 a Supplication Service was composed to Saint Philotheos by Hieromonk Athanasios of Simonopetra. Offspring of Sklataina, boast of Meteora, citizen and founder of the Monastery of Saint Stephen, Philotheos, let us honor O faithful, as a lamp of Christ that forever shines, illuminating this sacred shrine throughout the ecumene. Glory to God who sanctified you, the glory of those who obey the divine commandments, Most Sacred one.